There's a short but significant list of improvements and changes to the Xbox One S.
To start, it's 40 percent smaller, which considering its power supply is now internal, is impressive. It's also stark white, with some slick plastic moldings flanking the entirety of the box. I think it's the best-looking Xbox Microsoft has ever designed. The One S can also stand vertically, too. The 2TB model we received for review packs in a stand. If you buy one of the other models, you can get the stand separately for $20. 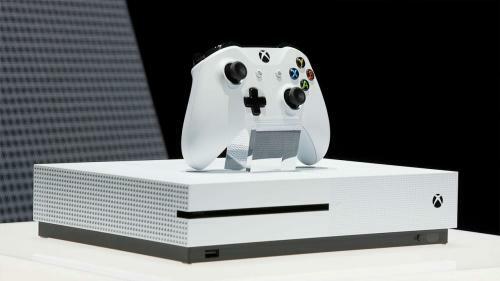 Xbox One S gets a fairly beefy upgrade on its video capabilities, with 4K resolution (3,840x2,160, or four times as sharp as standard 1080p HDTVs) and HDR (high dynamic range, which is basically enhanced contrast and color). Keep in mind: those features only work on compatible TVs and 4K functionality only works with a small but growing list of compatible video content. 4K can currently be accessed through streaming video services such as Amazon and Netflix (as long as you have the bandwidth to support it and pay for their premium tier) and those new 4K Ultra HD Blu-ray discs. Certain games, meanwhile, will eventually be able to take advantage of HDR visual improvements, but don't look for PC-like 4K graphics -- the games are merely upscaled to 4K. 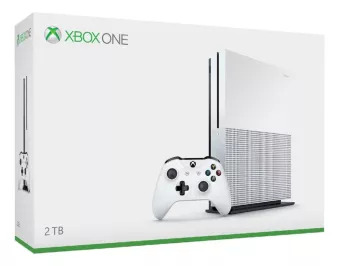 So no, you're not getting native 4K gaming out of an Xbox One S. In fact, only a limited number of games will feature HDR and none of them are out yet. They are Gears of War 4, Forza Horizon 3 and 2017's Scalebound. The Xbox One controller has been updated for the S, too. It has a more streamlined top section, better range and textured grips. It can also use Bluetooth to connect, which opens the door for compatibility with other devices -- no more annoying dongles, at least on Bluetooth-compatible PCs. Unfortunately, I'm not a fan of the new controller's design. It's not a drastic departure from the original, but there's just enough of a change to make it feel cheaper. The plastic textured grips don't feel good the way rubberized ones do, but thankfully the triggers seem unchanged. The D-pad also feels slightly less tactile -- I even noticed differences between two of the new controllers side by side. Still present is the IR port for controlling the console with a remote, but the Xbox One S also features an integrated IR blaster to control or power on other devices in the room. 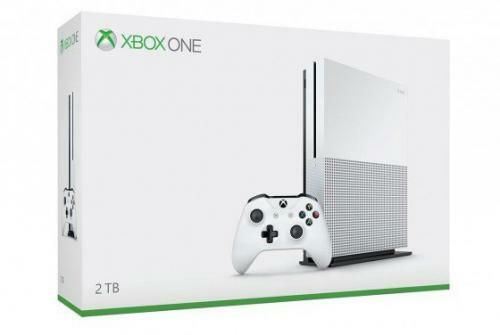 And it still does everything the old Xbox One does: The good news is that you're not losing anything with the Xbox One S compared with its predecessor. Around back the console offers a lot of the same ports as the original Xbox One, though noticeably absent is a dedicated Kinect port. You can still attach Kinect to the Xbox One S, you'll just need a special $40 (!) adapter. Either way, the omission of a Kinect port should give you an idea of how that peripheral is regarded at Microsoft HQ. HDMI-in and -out ports are still there, so you can still make use of the Xbox One's live TV integration if that's something that appeals to you, but I never found it overly useful. Suffice it to say, the One S plays all existing Xbox One games, and a growing list of Xbox 360 games. It also includes all of the encouraging software improvements Microsoft has made over the past few years, including the redesigned interface, support for the Cortana digital assistant (using a microphone headset), compatibility with the Windows Store and, soon, additional cross-play options with Windows PC gamers on certain titles.